Whether you are headed to college straight out of high school, going to college later in life, or are returning to finish an interrupted undergraduate degree, chances are you will need some measure of financial assistance. Grants and scholarships only go so far, and even students who have received one or more of these coveted awards can find themselves left with some degree of unmet need. Student loans provide an answer for many undergraduates struggling to meet the cost of their college tuition. But what are the best sources for undergraduate student loans, and how can you find the loan that is right for you? There are two main sources of college loans for undergraduate students. The Federal government offers a full range of low cost college loans for eligible students. Federal Direct Student Loans are the most affordable, and student friendly, loans on the market. These loans are available to students who fall within the minimum income requirements as set by the Federal government and the United States Department of Education. Federal loans are issued on the basis of financial need, and all legal citizens of the United States can apply. Private lenders are the second most common provider of student loans in the United States. Private lenders include banks, savings and loans, and student loan associations. Private lender loans are issued solely on the basis of credit history, and eligibility for any private loan will be determined by the lender. Private student loans, also called alternative loans, play a vital role in helping students finance their college education. It should be noted, however, that private lender loans are more expensive than their Federal counterparts, and have much stricter repayment plans. In addition to Federal and private loans, some students may consider Peer to Peer (P2P) Loans. P2P lenders are a recent addition to the college loan playing field. Peer to Peer lending is exactly what it sounds like, one individual lending money to another under an agreed upon contract. Students considering P2P loans should understand that these contracts are not regulated by the same laws that control private banks and savings and loans. A P2P lender sets their own interest rates and loan conditions, and borrowers are at the complete discretion of the lender. By far, the most popular college loans for undergraduates are Federal Direct Student Loans. Federal Direct Student Loans offer the lowest interest rates, and the most flexible repayment plans, of any college loans on the market. Eligibility for a Federal student loan is determined by financial need, and students will be required to fill out and submit their Free Application for Federal Student Aid, or FAFSA, in order to be considered for any Federally issued college loan. The Federal Direct Subsidized Loan are available to undergraduate students who can demonstrate the requisite level of financial need. Students who receive a Subsidized Loan will have their interest paid by the Federal government for as long as they remain in school, and for the first six months following graduation. 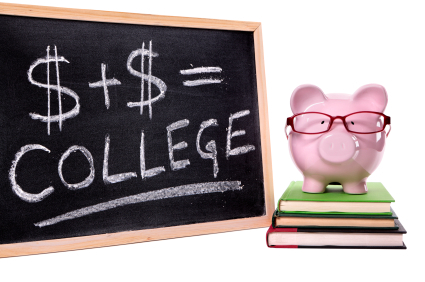 Borrowing limits are determined by the student’s college of attendance, and may not exceed the total cost of tuition. Current interest rates stand at 3.4%. The Federal Direct Unsubsidized Loan is available to all undergraduate and graduate students regardless of financial need. Students who receive an Unsubsidized Loan will be responsible for all accruing interest, while they are in school and following graduation. Students will have a six month grace period following graduation before repayment must begin. Current interest rates on Federal Direct Unsubsidized Loans stand at 6.8%. The Federal Perkins Loan is a low interest loan designed for undergraduate and graduate students who demonstrate extreme financial need. While Perkins Loans are guaranteed by the Federal government, the student’s college of attendance is their actual lender. Not all colleges and universities participate in the Perkins Loan program, and students should consult their school’s offices of financial aid for more information. Borrowing limits are determined by the student’s financial need, and the availability of funds. Federal Direct Consolidation Loans are available to graduated students who have received one or more Federal college loans. A consolidation loan allows students to combine their outstanding Federal loans into one more manageable loan package. Not all students will qualify for a Federal Consolidation Loan, and students should understand that by combining loans they are likely to increase the overall length of the repayment period for their debt. This will result in an increase in accrued interest, raising the overall cost of their Federal student loans. Even with grants, scholarships and Federal Loans, many students are still left with substantial un-met need. Private lenders hold the key to addressing that unmet need, and providing students with the necessary financing to complete their college education. Private lender loans, unlike their Federal counterparts, are issued solely on the basis of credit history. This can pose a problem for many undergraduates who may have built up little, or no, credit history of their own. In those instances, most private lenders will allow students to engage a cosigner with sufficient credit, usually a parent or guardian, to act as a guarantor for the loan. Eligibility requirements, interest rates and repayment options are all set by the individual lending institution, and students should take the time to research a number of different lenders before signing any loan agreement. Private lenders are competing in a crowded marketplace, so students are advised to investigate a variety of different lenders, and look for the loan that offers the lowest interest rates and the most flexible repayment plans. While private loans offer students the financing they need to make their college ambitions a reality, they should not be entered into lightly. Many students have been undone by taking on more college debt than they can afford. Students considering a private lender loan for college should proceed with caution, and should only sign a loan agreement when they are certain they understand all of the terms and conditions of the loan, as well as their responsibilities as a borrower. For further information on private lenders, and on applying for a private loan for college, please see our section on Private Lender Loans for College.